Sailing over 500 miles farther north across the Gulf of Alaska and into Prince William Sound. Glacier Bay National Park with park rangers and onboard naturalists. A second glacier-viewing experience among the 16 glaciers at College Fjord, or Hubbard Glacier - the longest tidewater glacier in Alaska. 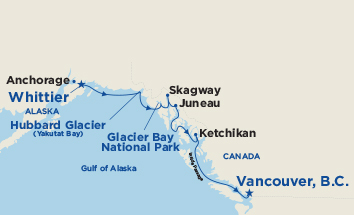 The best frontier ports in Alaska - Skagway, Juneau and Ketchikan. Anyone who has seen the towering ice blue spectacle of a tidewater glacier and heard the thunderous cracking as it calves a building-sized iceberg into the water below will tell you - it's an experience with Princess not to be missed. Its immense beauty and phenomenal blue hues are enchanting, even from afar. But it's when your cruise ship draws closer that its towering surface really impresses, dwarfing even the uppermost deck on your ship at a whopping 40 stories high. There, with the snowcapped mountains serving as a glorious backdrop, you'll have a prime viewing spot from which to witness the glacier calving, as it often expels icebergs the size of 10-story buildings-imagine the splash! 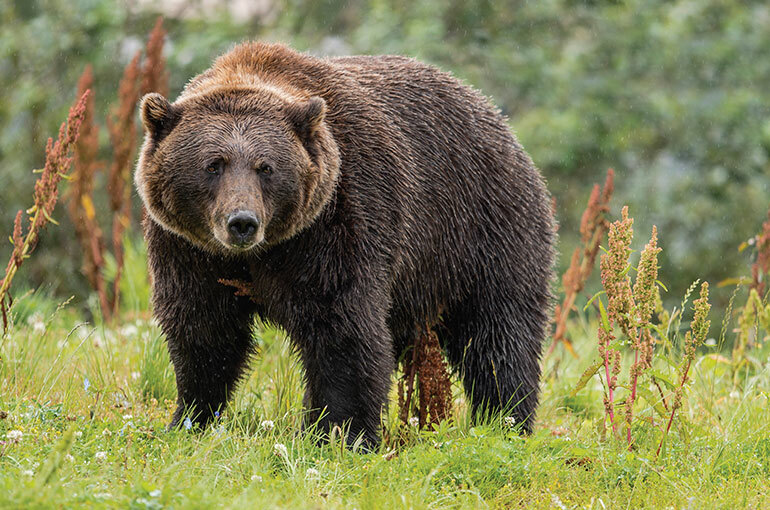 The area around Hubbard Glacier is also renowned for its wildlife, where whales, harbor seals and otters swim, brown bears, moose and black-tailed deer roam ashore, and a wide variety of seabirds soar gracefully across the sky. 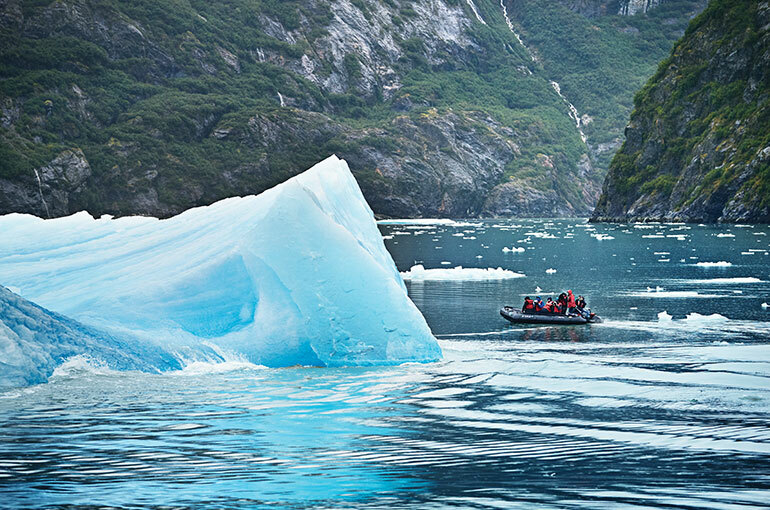 Just west of Juneau, this breathtaking national park and preserve boasts some of the world's most spectacular tidewater glaciers, such as Margerie Glacier, which often drops colossal chunks of ice into the sea. Not surprisingly, Glacier Bay National Park and its epic ice giants are part of a UNESCO World Heritage Site comprising Alaska's magnificent park system. Stretching from Puget Sound, Washington, through the British Columbia coast and into the Gulf of Alaska, the Inside Passage includes more than 1,000 islands, seemingly endless shoreline and thousands of idyllic coves and bays. Sailing with Princess, you’ll marvel at the breathtaking scenery and encounter ports like Gold Rush-era Skagway, Salmon Capital of the World Ketchikan, the capital city of Juneau and British-flavored Victoria.